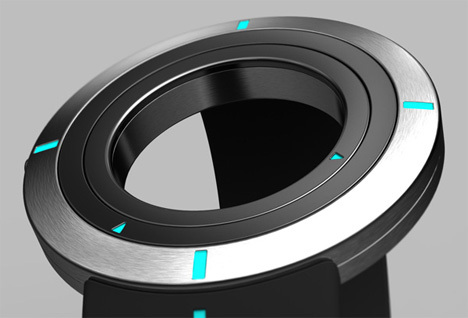 This watch design is something a little different from what we are used to seeing. 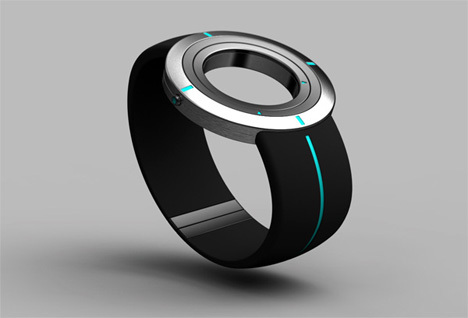 The face-free watch features a stationary outer ring and two moving inner rings to tell time in a dramatic new way. There are no numbers to be seem here: the motionless outer ring features markings at 12, 3, 6 and 9. 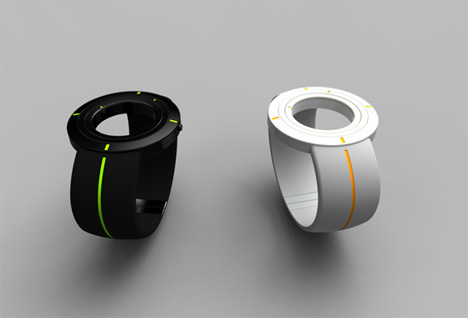 The moving inner rings tell the hours and minutes with one simple arrow each. 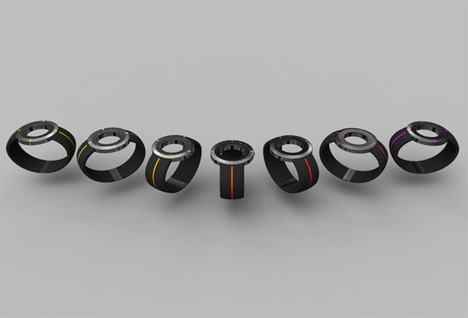 The Revolutio Watch was designed by Mickael Chrost and looks more like a bracelet than a watch. Although the designer has come up with several color schemes, the classic silver rings/black band/blue highlights combination is absolutely perfect. In addition to being totally stylish and fashionable, the ring design reminds us that all life is a circle. There is no beginning and no end – there is only the constant marching on of seconds, minutes, hours and days. See more in Clocks & Watches or under Gadgets. April, 2011.